The Dandini Puppet Marionettz Cabinet Show, is a fast moving trick puppet show using ultra violet glow in the dark puppets with a skeleton, pop star and other animal characters. The puppets are large and suitable for most venues. 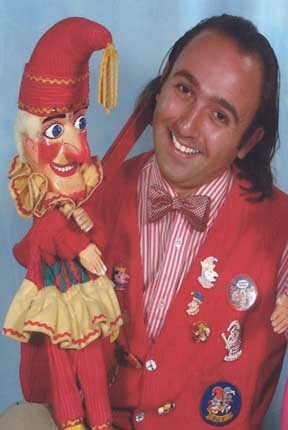 We also perform Professor Philips Punch and Judy show which can be seen at many seaside resorts throughout the country.